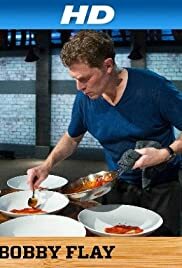 Alton Brown and Anne Burrell bring in their hand-selected chefs, Heather West and Florian Wehrli, to beat Bobby Flay. A Mother's Day battle features female chefs Kathy Cary and Shanna Horner O'Hea, who are looking to represent moms, everywhere. Ok, first of all, those people who are saying other person's dish is better... are not the ones tasting it. Presentation wise, maybe, but maybe Bobby's tastes better? I binged watched this, and no, Bobby doesn't win all the time. He wins about 70% of the time. 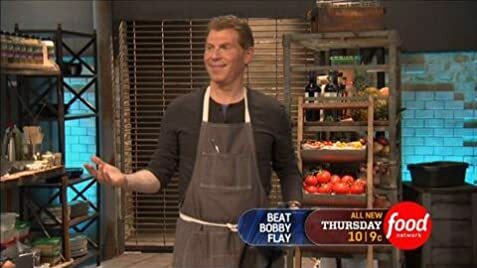 My only question is, when they had an episode where Marcus was selected to go against Bobby, and Marcus is Ethiopian... and of course Marcus selected an Ethipian dish..one of the dishes was Ethiopian food critic. How did they know that Marcus will be chosen and that he will cook Ethiopian, so they prepared an appropriate judge ahead of time? Maybe they had different judges ready in case either contestant wins..but this was sketchy. Still a fun show.